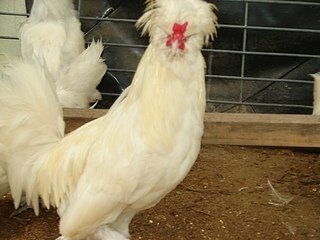 Sultan Chickens are a smaller bird, but acts as if it knows that it was originated from Turkish royals. Comb, Wattles & Earlobes: They have a V-shaped comb and the wattles and earlobes are all very small and bright red. Black: The beak is black and the eyes are brown. Their shanks and toes are black. They have standard black plumage. Blue: The beak is horn and the eyes are brown. Their shanks and toes are a bluish slate. They have standard blue plumage. White: The beak is light horn and the eyes are reddish bay. The shanks and toes are bluish slate. They have standard white plumage. Special Qualities: They are known for their calmness and make good pet chickens. This breed is called Serai-Tavuk in their native Turkey. They are a very old breed that was indeed kept by Turkish royalty for centuries as garden ornamental birds. They were first brought to England in 1854 and then made their way to the United States in 1867. They are relatively small and combine a crest, a beard and muffs, and vulture hocks on their well feathered legs. They are calm and easy to handle and are well suited for confinement living. They do not do well in free range situations. To keep them looking their best it is recommended to keep them in a good and dry coop. They lay small white eggs, but the hens are not the best layers and do not go broody. Sultan Chickens were first admitted to the APA in 1874.